Run your business from a cloud server environment designed for the magnitude of safety and security large enterprises need. This robust server option allows you to move from physically buying equipment that begins out-dating from the moment of purchase, to a single-tenant server in the cloud that constantly updates with the latest technology. At a time when support is key, you will have us by your side as your partner making sure your business isn’t experiencing any loss or downtime. Litmis Spaces cloud server environments offer over 99.9% up-time, meeting and exceeding your expectations. Monitored anytime during the day or night, we’ll be here to 24/7 should any need arise. If you’re used to being locked into more traditional one to three year contracts, Litmis Enterprises will be an entirely new and refreshingly robust IBM i hosting experience that will not have you locked into a commitment that will span decades. There’s no charge to talk through this premium hosting solution with our experts to see how it will work for your business. Call or email us today. Litmis Spaces is a perfect, inexpensive IBM i hosting environment in the cloud. Competitively priced, you pay for only what you use. 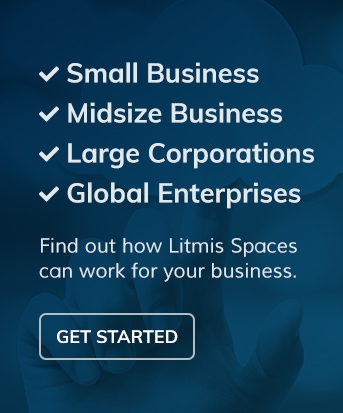 Litmis Spaces is a simple and cost effective way for smaller businesses to leverage technology and access IBM i in the cloud, starting as low as $157 per month. Litmis Spaces single-tenant hosting can grow with you as your business expands and needs change. There’s no set up fee and no minimum commitment. Litmis Spaces offers only month-to-month contracts, providing the ultimate in flexibility and control. This is a multi-tenant hosting environment for developers to learn, test, and advance their coding skills in a browser on an IBM i in the cloud. At Krengeltech, we’re firm believers in IBM i shops learning open source so they can increase their competitiveness in the market. That’s why we allow everyone to have a single Litmis Multi-Tenant Space at no cost. We have also put together tutorials that help you build either a Node.js or Ruby On Rails application from start to finish.